7.2 If You Can’t Stand The Heat…. If you’re going to get serious about having the ultimate entertaining backyard, one of the first items you should put on your “to buy” list is a high quality gas barbecue. Ok, before we get into a debate over charcoal vs. gas grilling, I’ll be the first to say that grilling with the smoky goodness of a Weber charcoal grill is tough to beat, but if you plan on doing any real barbecuing this season, an outdoor gas grill is hands down the best way to go. Just a few of the benefits of gas grills over charcoal grills include the ability to control cook temperatures when grilling delicate foods or multiple kinds of food. Plus, you can get a lot more steaks on a full size gas bbq than on most traditional charcoal grills. Gas grills heat up quicker and are generally easier to maintain. With that said, I decided to put some of the most popular grills to the test and see which one’s made the cut. 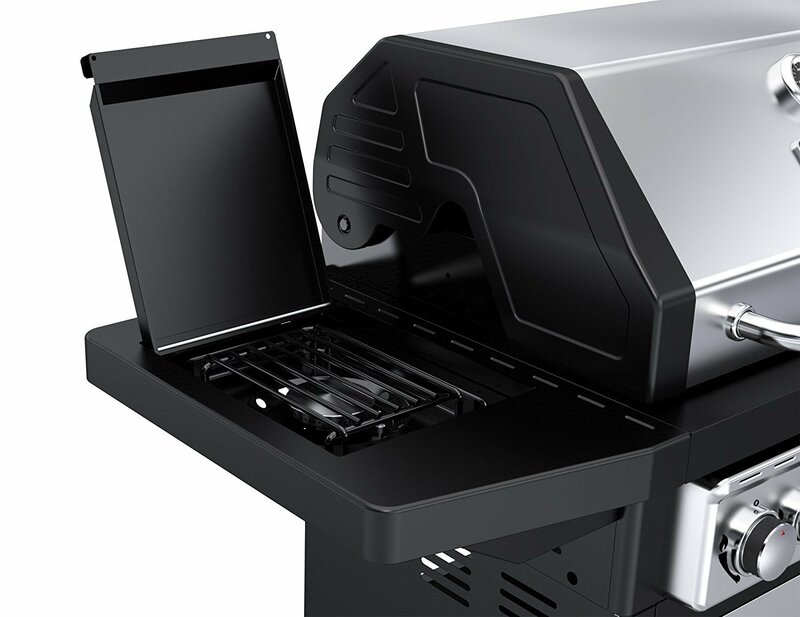 Below you’ll find my top 5 picks for best freestanding gas grills that will transform you into a backyard barbecuing superstar. I just want to add that I understand that many of the higher end grills can get quite expensive. So I’ve tried to include bbq’s that not only perform amazingly and are high quality, but also cover a few price points that any homeowner can afford. Please note, these grills require natural gas be plumbed to your deck or patio area. If you do not have access to natural gas, please check out some of the best propane grills here. After testing nearly a dozen different stand alone gas grilles from several different manufacturers, the Napoleon 500 stainless steel grill takes the top spot as my #1 gas grill. Napoleon grills aren’t exceptionally well know in the U.S., but if you want a quality barbecue that’s made from the best materials and outperforms grills twice the price, I suggest you track down a Napoleon Prestige 500 and check it out personally. This grill is built to last. All of the external components are stainless steel as well as the basin, sear plates, burners and cooking grids. Most stainless barbecues are only stainless on the outside and the internal components are the first to break down and wear out. But with all internal stainless guts, the Napoleon will resist corrosion and rust damage for years. The capacity of this grill is just amazing. 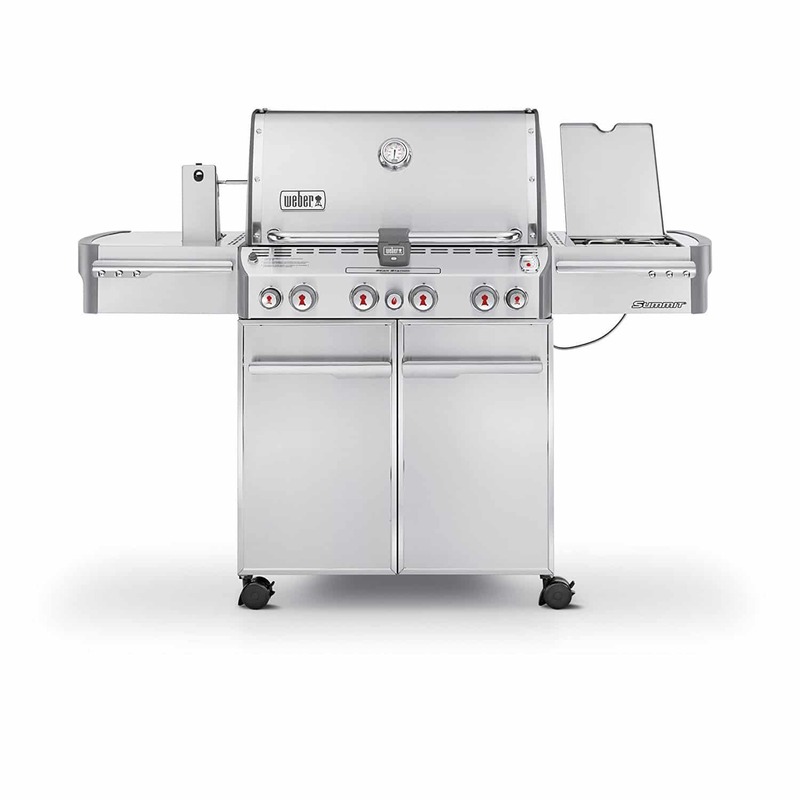 With 780 sq/inches of grill space, you can get 30 hamburgers over the main burner area and another 8 on the side burner. Speaking of the side burner, it will heat to 800°F in less than a minute so you have the perfect temperature for searing steaks & fish. With this grill, you can easily prepare an entire meal . Prepare you steaks, chicken, roasts and meats on the main burners, while using the side burner for grilling veggies, heating sauces and other dishes. This baby cranks out 48,000 BTU’s of pure heat and you can easily enjoy the flavors of charcoal grilling by using the Charcoal Smoker Tray. Fill this with your charcoal and the gas burners will quickly light it, so you can get all the smoky goodness of your old Weber bbq. 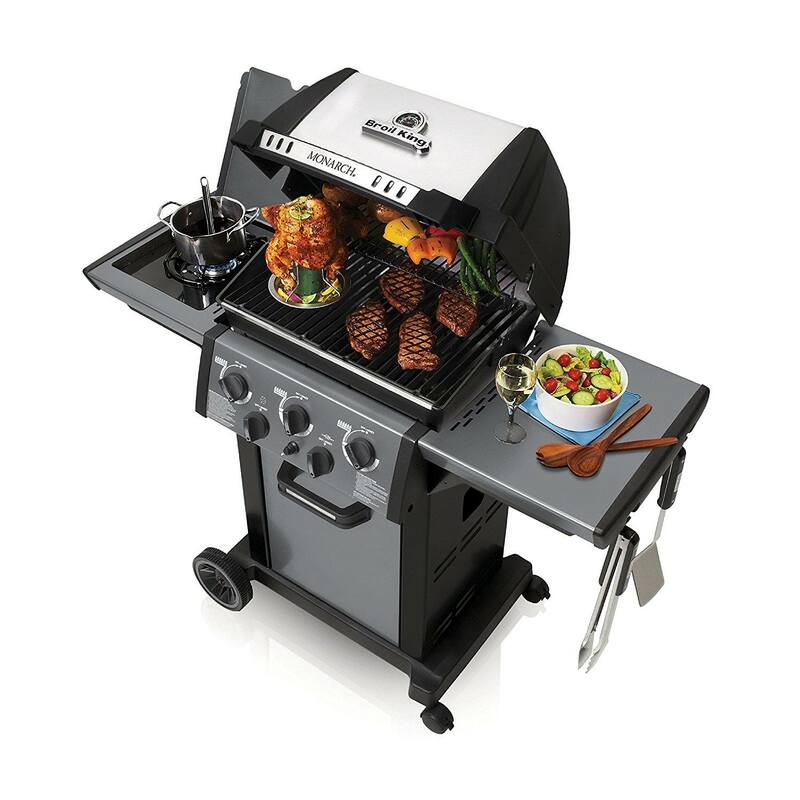 This is one of the best 4 burner grills on the market today. If you’re slightly handy, there’s no reason you can have this grill assembled and burning steaks in under 2 hours. 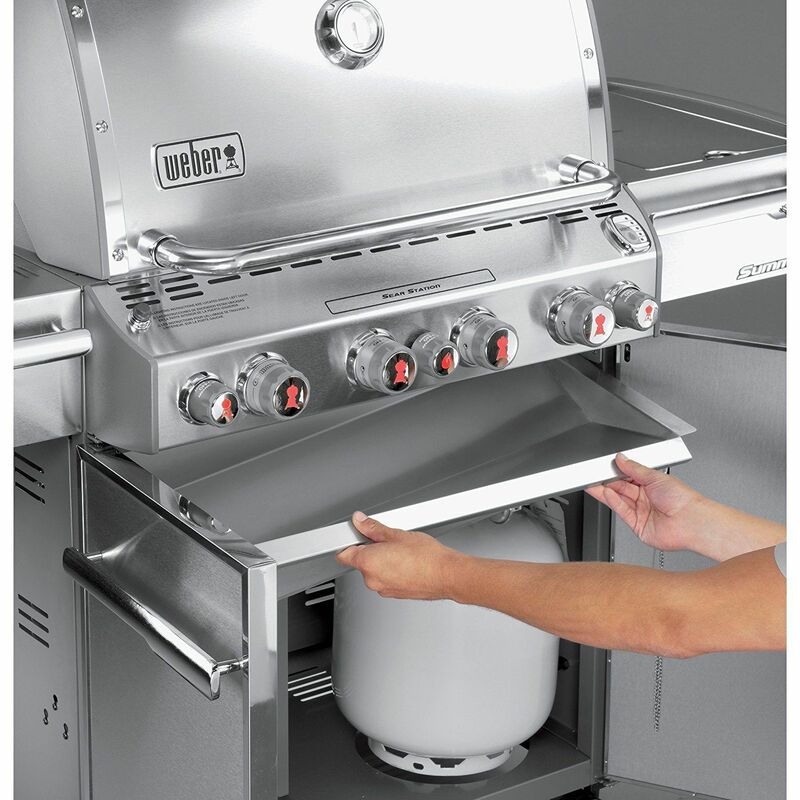 There’s no way I could not include a Weber bbq in my best gas grill list, because they have made some of the best quality charcoal grills for decades and their selection of gas and propane grills are equally as impressive. The Weber Spirit E310 was redesigned in 2013 and doesn’t look as fancy as some of the other grills in it’s class. However this “simple but stylish” unit really took me by surprise and turned out to be one of my favorite grills of the test. This is an entry level Weber to be sure, but the price tag definitely doesn’t reflect this. Expect to pay around $500 for this particular model and don’t expect to find it on sale any time soon. The construction is high quality and this grill just feels sturdy and solid, as you would expect from a Weber product. 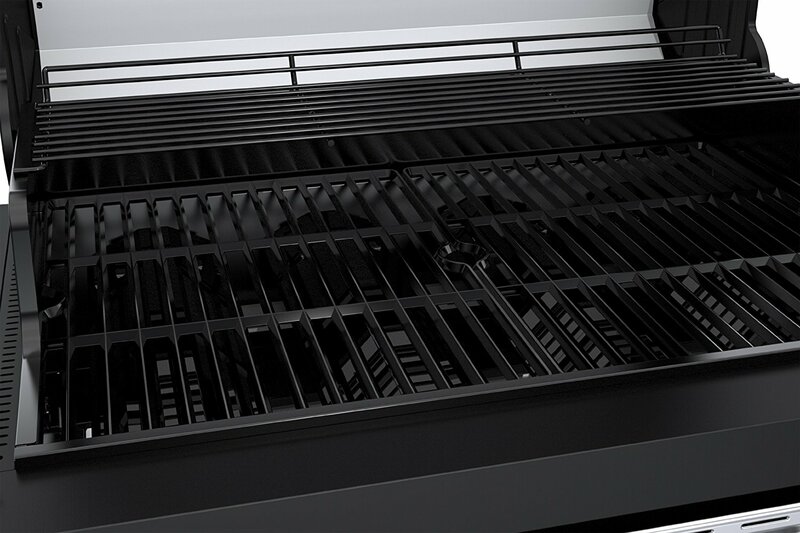 You get over 500 sq/inches of grilling space on the main grill plus warming rack with 32,000 BTU/hour heat output. The max temp at full throttle is about 500 degrees F, so searing steaks isn’t quite as good as the other grills that can achieve higher cooking temperatures. One of the best features is the stainless steel burner tubes which resist burn through and rust that can be caused from the water found in natural gas & propane. The cooking grates come pre-seasoned are very easy to clean. A pretty slick feature that you don’t find on other grills is the Weber Flavorizer Bar system. The bars vaporize drippings from the food which adds smoke and flavor back into whatever you’re grilling. Any drippings that don’t get vaporized are channeled away from the burner to keep flare up’s to a minimum. Continuing on the Weber theme, my #3 pick is the Weber Summit S-470 stainless. This unit is a serious grilling machine. Let me say that when you have this beast in your backyard, you’ve made the move from amateur barbecuist to full-on BBQ MASTER. The Summit series by Weber is their fully loaded line of professional series grills that take your backyard cooking to a whole new level. The S-470 has 4 burners at a whopping 48,800 BTU’s, along with a side burner, sear station, smoker burner, plus the rear infrared rotisserie burner. A massive 650 sq/inch combined cook space with the lower and upper racks means tons of space for burgers, steaks plus extras. Porcelain-enameled cooking grates that get hot fast, retain heat extremely well and are super easy to clean up. One of my favorite features is the side sear station that cranks out the heat for doing a quick sear on steaks before you put them on the main grill. This saves time and burner space for other items. There’s really nothing bad I can say about this bbq. It’s got all the features you could want, with heat for days and a ton of nice extras like tool hooks, heavy duty locking casters, stainless enclosure etc. If I had criticize one thing it would be that this grill can actually get too hot. It took me a couple meals to dial in the heat properly, but after I figured it out, it was amazing to use. As you’re probably figured out after reading my best outdoor gas grill reviews, all grills are definitely not created equal. Yes, most share a lot of common features, but when you’re getting ready to drop $500 to $2000 on a new barbecue, there are some things you’ll want to look for and some things to avoid. Here are a few of my personal grill buying tips to help you get the most grill for your buck. The best barbecues will almost always feature 100% stainless steel body and internal parts construction. Basic steel parts will not hold up as long as stainless, so it’s important to make sure you’re getting a grill with stainless burner tubes and stainless grill body construction if possible You will pay more for grills with these features, but it’s worth the cost in the long run with years of problem free use. Also, for freestanding grills, be sure the check the stability of the legs and casters. You don’t want a grill that isn’t supported well and sways. Not only can it be a safety issue, it’s a recipe for a poorly constructed bbq that probably won’t last very long. The almighty BTU, British thermal unit. This is the measurement of how much heat your new grill is going to crank out and generally the more cash spend, the more BTU’s you’re going to get. This means higher available cooking temps, which give you more grilling flexibility. You’re going to find ranges from 15,000 to 80,000 BTU’s. It’s not the only factor you should consider when buying a new grill, but a grill in the 30K BTU range will do a very nice job and won’t blow your budget. Also, more burners are a good thing. With 4 burners you’ll have individual controls for each, which means you can cook at different temperatures at the same time. 3-4 burners is the norm these days. Some higher end models may have 5+ burners. The grills I reviewed in this article are all natural gas powered. Meaning, you need to have a line run from your gas meter to the area you’re going to be grilling, so you can hook directly into the natural gas line of your home. I grilled on propane bbq’s for years and I like propane. Propane actually burns a bit hotter than natural gas, however I didn’t enjoy running to fill tanks every few weeks or running out of propane mid cook. Natural gas grills are much more convenient once you get the line run to your patio or deck area, but this is entirely up to personal preference. If you only grill for your family on a regular basis, you probably won’t need a grill with 700 sq/in of cooking real estate. But if you like to party, and need to cook 30 hamburgers, hot dogs, corn on the cob and other veggies to serve large groups, you’ll want to make sure you get a grill big enough for entertaining. 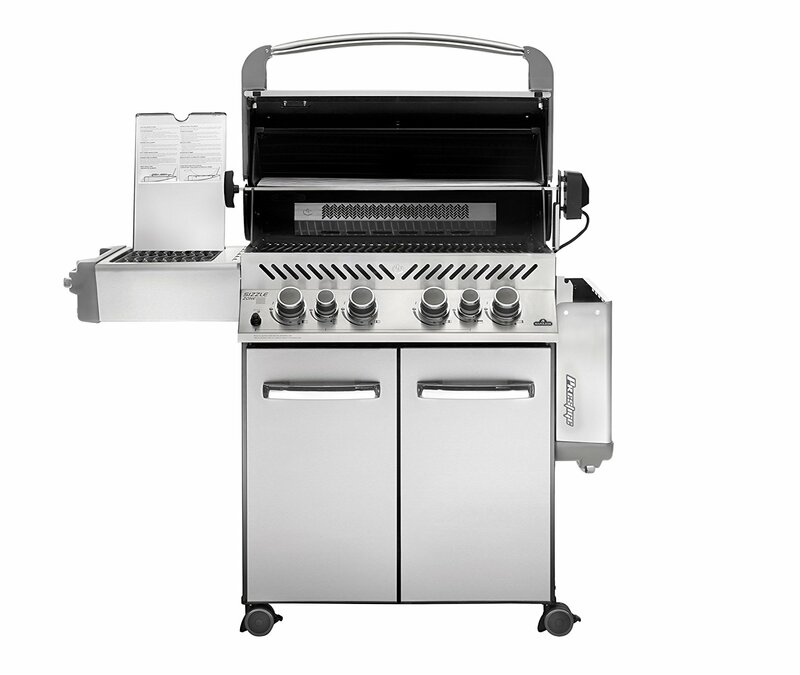 Most medium priced grills, in the $300-$$450 range will have around 350-450 sq/ft of grill space. More expensive models will upward of 700 sq/in. Make sure to take this into consideration when choosing a new grill. Depending on your space and yard situation, you may choose to go with either a more portable gas grill or a permanent, built in gas grill solution. 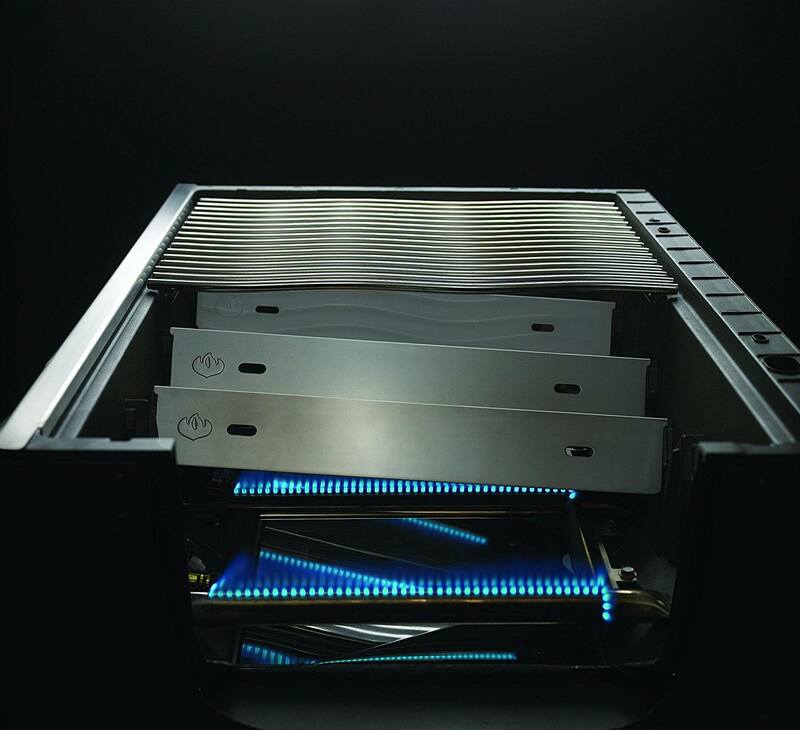 There are advantages to both set ups, but more often than not you are going to find the higher end barbecues used in the built in applications. Small gas grills that are mobile are great for people who have decks or limited out door space or for people who want an outdoor grill that can be used on the go, for tailgating or camping. 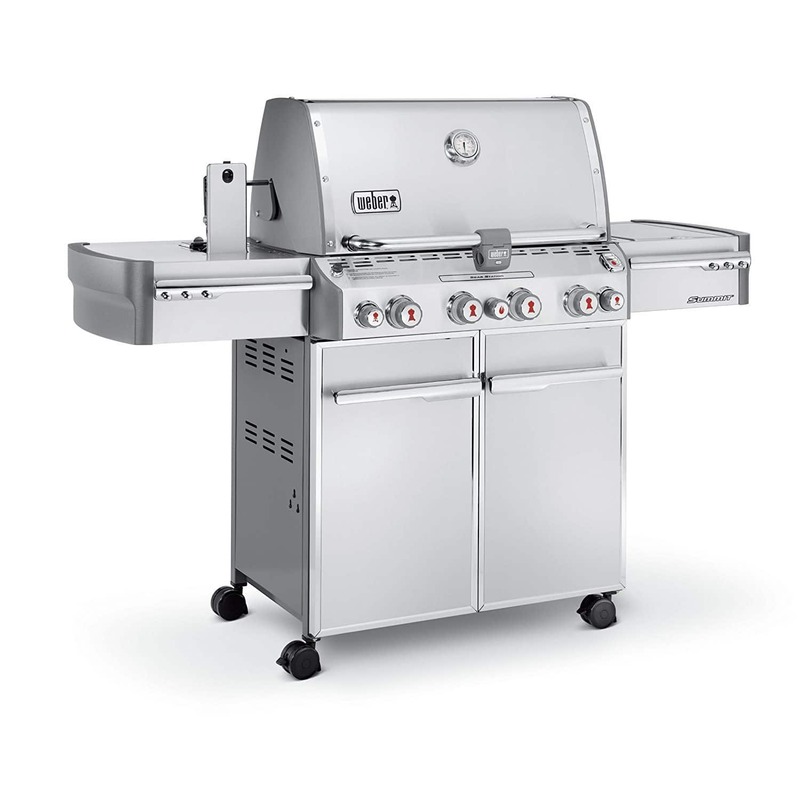 Generally you’re going to find gas grills with 2 burners in smaller grill options. These are the types of grills that you would use for camping or even for apartment home applications when the user doesn’t have a lot of space for a full size barbecue. The pro’s of of these bbq’s is that they’re generally the more affordable gas grills on the market. You will usually find 2 burner grills to be the best grills under $200 and sometimes under $100 depending on the make and model and where you shop for them. 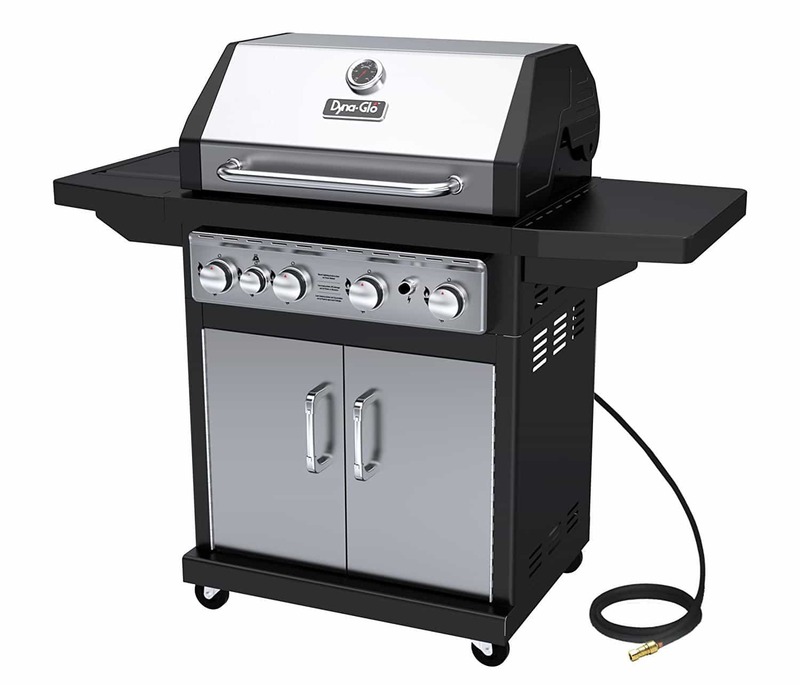 Home Depot & Lowe’s are pretty good places to find sales on cheap gas grills. 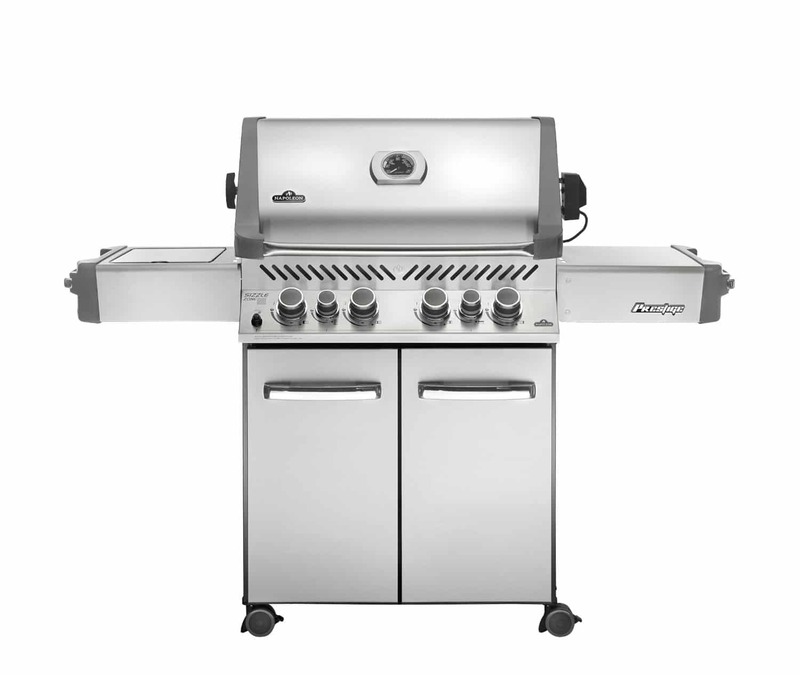 You will find 2 burner grills in stainless steel and metal construction. I generally advise to go with stainless steel if your budget allows, as they tend to last much longer than grills made from metal or even other ceramic/composite materials. The downsides to 2 burner barbecues is that they don’t have a lot of cooking space and the heat output is considerably lower than their 3 and 4 burner siblings. That doesn’t mean you can’t cook some great food on these smaller, portable grills. Just make sure you do your homework and get one that has solid reviews online so you don’t end up buying a piece of junk you’ll have to replace next summer. These are my picks for the best 2 burner propane gas grills that won’t break the bank. Three burner grills are right in that sweet spot between the smaller, less powerful 2 burner models, and the big boy barbecues that feature 4, 5 and even 6 or more burners. 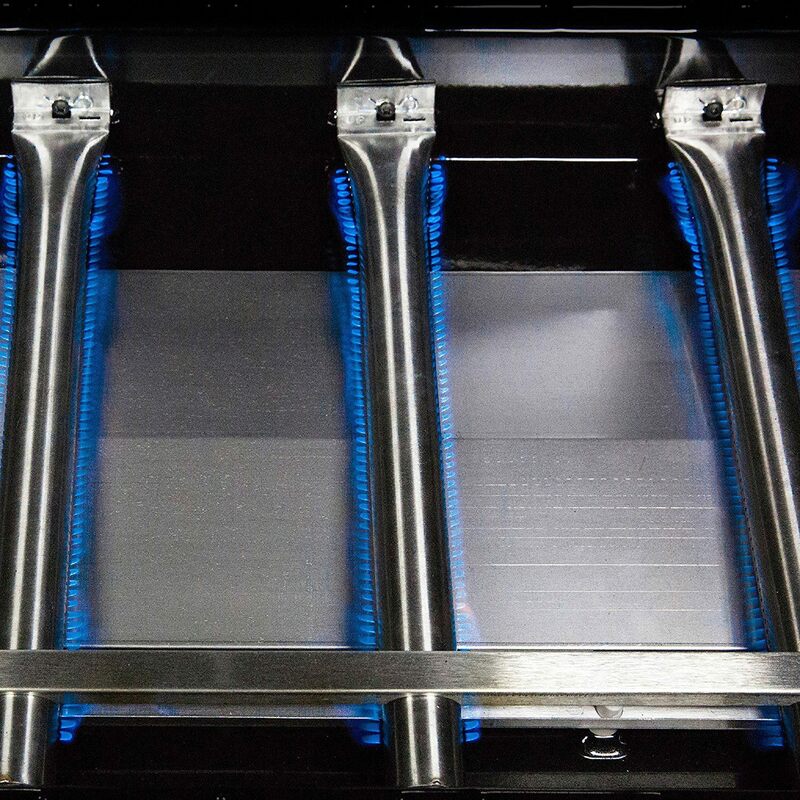 The average homeowner will do perfectly fine with a 3 burner grill. They have great BTU output, so you can cook at higher temperatures when needed. 3 burner models will also have more features than 2 burners, including side burners, warming burners, infrared heating elements and more. The 3 burner bbq’s will not be as portable as their 2 burner siblings, but what you sacrifice in mobility you gain in more features and cooking power. You can find nearly all 3 burner grill models in stainless steel (which I recommend) and metal/ceramic materials. These are the best affordable 3 burner gas grills on the market. All five of the gas grills I reviewed in the first part of this article have at least 4 burners. 4 burner grills are the standard when it comes serious barbecuing and you’ll find some deluxe models with 5 and 6 burners, plus side burners and warming racks & plates. You can easily spend upwards of $2000 for a top of the line, stainless steel 5 burner grill, but you can also get some really nice models in the $400-$800 range as well. I’m partial to the Napoleon & Weber brands, but you some of the best grill brands include Char Broil, Dyna-Glo and Master Cook. 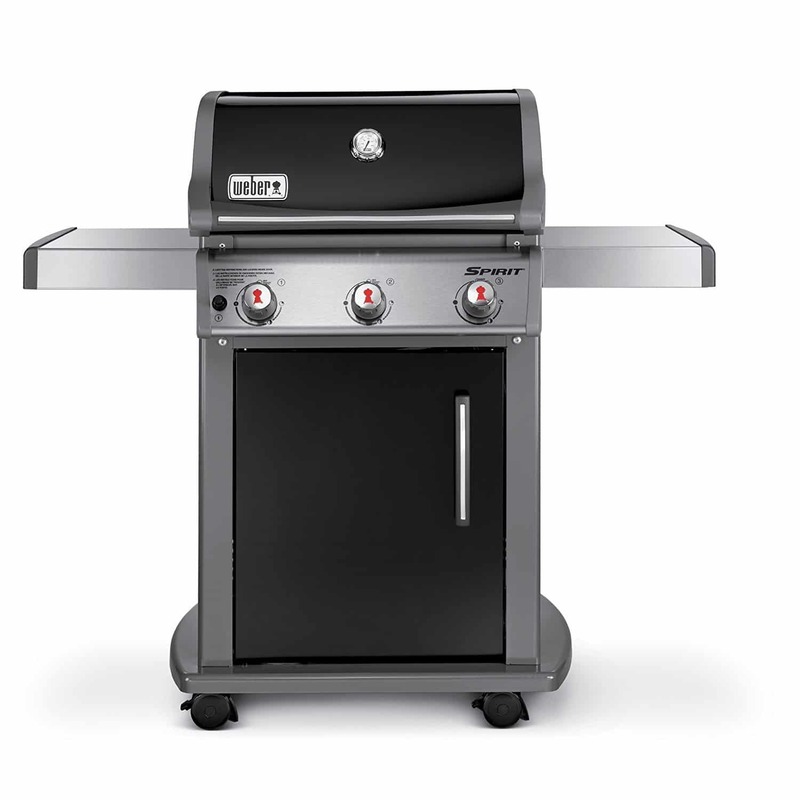 Check out my picks below for the best 4 burner gas grills. When you’re looking for a quality portable gas grill you’ll want to consider a couple of factors including how much food do you need to cook at any given time vs. how much space do you have for your grill setup. Smaller, mobile grills are generally going to feature less burners, which equates to less BTU’s and cooking power. But that doesn’t mean you can’t find a good grill for the value that will also perform nicely. If you’re in need of a grill for camping or tailgating, you are most likely going to want a model that you can easily fit in the back of your car or truck. You will probably want to go with a grill that sits directly on the ground, table or tailgate. Portable grills with wheels and stands will be too big for these types of applications. If you just want a portable grill for your backyard, you have a lot more options. 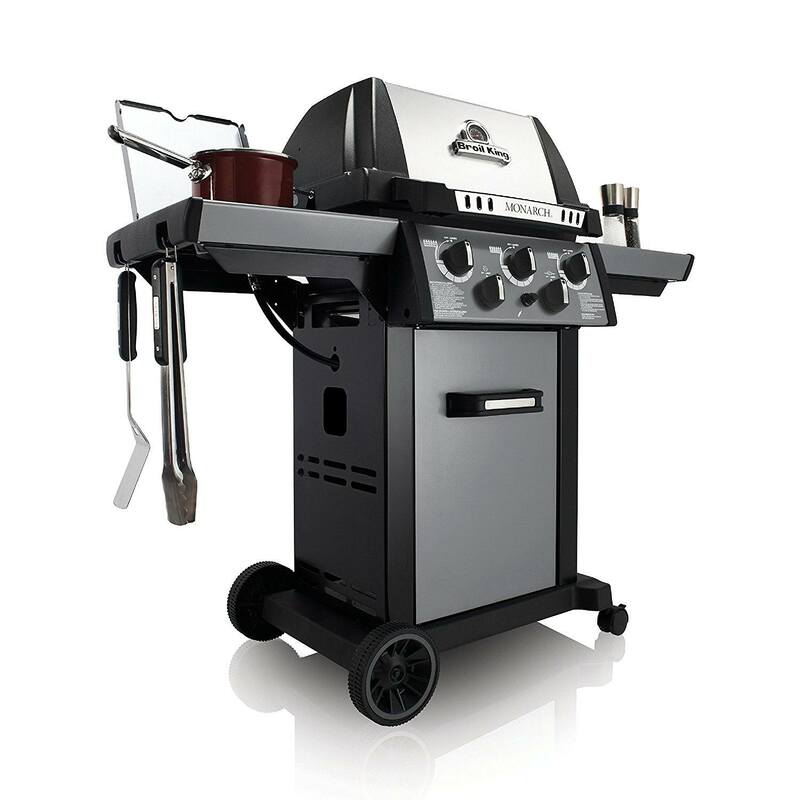 Nearly all sizes and grill models come with mobile bases and casters. This allows you to roll the grill around your yard or patio as needed. This doesn’t mean they will be a lightweight grill, but if rolling mobility is all you need, then you open yourself up to grills with more burners and features. Here are my favorite portable propane grills that are lightweight, versatile and perform close to much larger, freestanding grills.